Where do you turn after suffering a serious injury or injustice that has resulted in financial damages and need for medical care that could last years? The insurance company will do everything possible to protect its bottom line. But it doesn’t have to be you against it. Every story of loss impacts a real human being. Making things right or as close to right is a challenge. 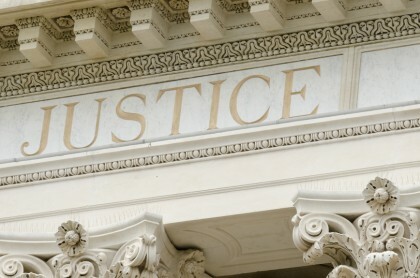 Our Portland Personal Injury Law Firm can help. Talk to a Portland personal injury attorney at the Savage Law Firm. After more than 30 years of representing clients in personal injury and wrongful death cases, one key thing stands out: Every case is a story about a human being that needs to be told. At the Savage Law Firm, we know it’s our job to find out how your loss affects you and your family. When we take on a case, we go beyond the cold hard evidence. We start by getting to know you. We visit with your family to understand how the accident or negligence has affected your daily life, as well as your future aspirations. Contact our offices in Portland or Seattle to schedule a free consultation. We restrict our practice to representing only plaintiffs in personal injury and wrongful death civil litigation claims. We do not represent insurance companies. We work on a contingency fee basis. If we can’t help you recover money damages, you won’t pay attorneys fees. Our offices are conveniently located in central downtown Portland and Seattle. We represent clients throughout Oregon and Washington. Attorneys Bill Savage and Carol Hepburn are AV-rated* under Martindale-Hubbell’s peer review rating system. Understanding what makes people want to act in a just manner is at the heart of our success. Jurors will make the right decision if they understand how the injury and damages have affected the victim’s life, not just the financial figures. Contact us for a free consultation with an experienced attorney at a Seattle and Portland personal injury law firm that you can count on. Call 503-222-0200 in Portland, or 206-957-7272 in Seattle.